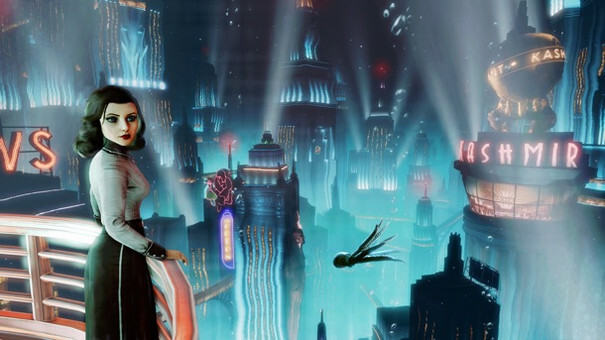 Irrational Games creative director Ken Levine says that Burial At Sea’s first episode is short because the developer went for quality over quantity. Burial At Sea – the first piece of story-based DLC for BioShock Infinite – can be finished in under two hours, or more than three if you “dig deep”, said Levine. "I think there are definitely people who are like 'Well, I want hours and hours of gamplay'. I think if that is your primary metric, this probably isn't the thing for you,” Levine told Eurogamer. “We chose quality over quantity. As a gamer that's a choice I usually make. Very few people would judge a movie based on how long it is." Irrational could have thrown together modified versions of existing assets to make a new story, but it wanted to do something different, said Levine. “If you look at it, [Burial at Sea] is really the first level and a half of a new game – or maybe not a new game, but of a sequel. And we knew that meant it wouldn't be the longest gameplay experience," he said. “I believe that if you build quality people will come. People told us when we made BioShock 1 that it had no multiplayer so nobody would buy it because there was no replayability. I think people respond to quality. Maybe I'm a fool." Levine said that doing something with Booker and Elizabeth in Rapture was an idea that came early on. "I never pick the particularly smart approach. 'Hey, let's not build Rapture, let's build Columbia. Hey, now let's build Rapture but completely afresh with new assets and a new engine. Hey, let's take all of game systems we designed in Infinite and modify them so they belong in Rapture,” he said. “So we have basically three versions of BioShock combat now: BioShock 1 combat, BioShock Infinite combat, and the hybrid that appears in Burial at Sea. “So yeah, we got carried away a little bit, I won't deny it. But, hey, I don't want to work on something that I feel is kind of a B in quality. You might as well go for it. The company is okay with it, so why the hell not?" Burial At Sea Episode One will be available on Xbox 360, PlayStation 3, and Windows PC from tomorrow.